A scholarly approach to this craft talk “would be a disservice to the process of this essay’s construction,” Jonathan says early in his podcast. This idea perfectly mirrors the theme of the writer organically discovering his/her own answers that occurs both throughout Jonathan’s craft talk and in the emotionally-charged “iTunes Playlist to Get You Through a Miscarriage.”Both are reminders and illustrations of the potential of allowing writing to naturally reflect the experiences one has had. You can read Jonathan Danielson’s essay in Superstition Review, Issue 15. Jonathan Danielson is a frequent contributor to the Feathertale Review, and his work has been published by The Saturday Evening Post, Juked, Superstition Review, Southern California Review, Five Quarterly, Monday Night, and others. He teaches writing for Arizona State University, fiction for The Eckleburg Workshops, and serves as Assistant Fiction Editor for Able Muse. You can follow Jonathan on Twitter at JonathanIn2k. Each Tuesday we feature audio or video of an SR Contributor reading their work. Today we’re proud to feature a podcast by Jonathan Danielson. 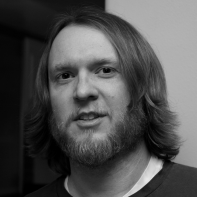 Jonathan Danielson is a frequent contributor to The Feathertale Review. His work was named a finalist for Glimmer Train’s 2012 “Family Matters” contest, and has appeared in The Saturday Evening Post, Juked, Southern California Review, Monday Night, Gravel, Santa Fe Writers Project, South85, Fiction on the Web, and others. He received his MFA from the University of San Francisco and lives in his home state of Arizona, where he teaches at Scottsdale Community College. He is also an Assistant Fiction Editor for Able Muse.